If you need a good place to store dinnerware, books, vases, or other items for display, then check out the The Bayside Furnishings Sliding Door Bookcase. The sliding doors give you ease of access for anytime you need to get something from inside the bookcase. 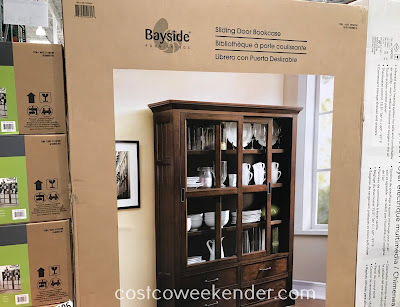 The Bayside Furnishings Sliding Door Bookcase is not only functional, but also stylish looking which will add to the classy decor of your living room or dining room. 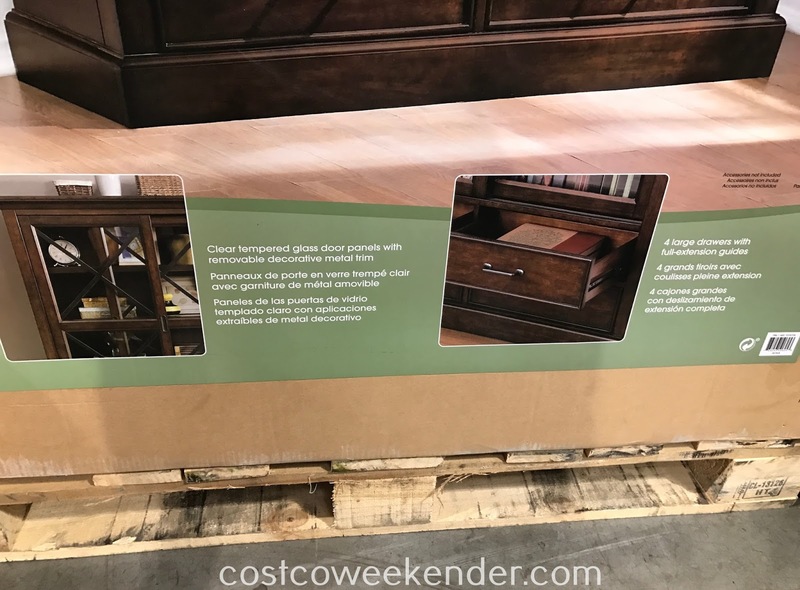 It features plenty of storage space for your belongings with its 4 shelves and drawers. 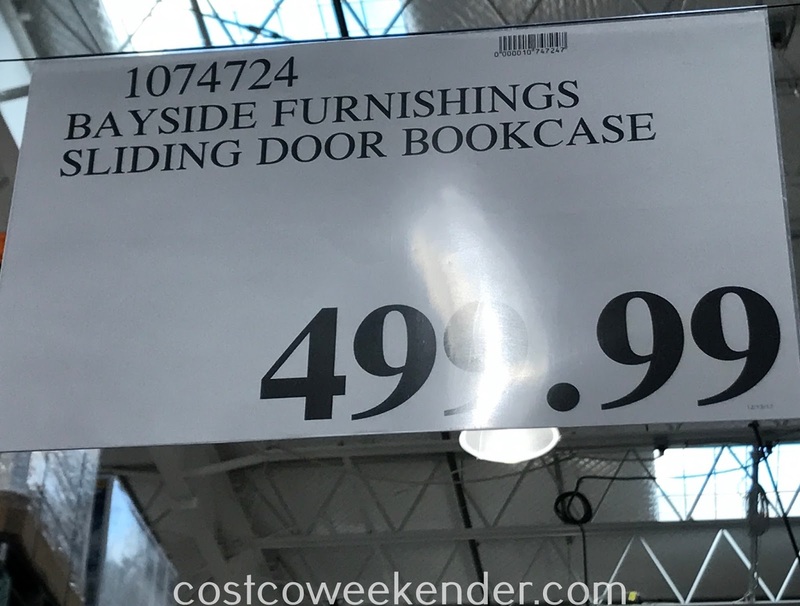 You won't regret getting the Bayside Furnishings Sliding Door Bookcase when it makes for a nice display in your home.